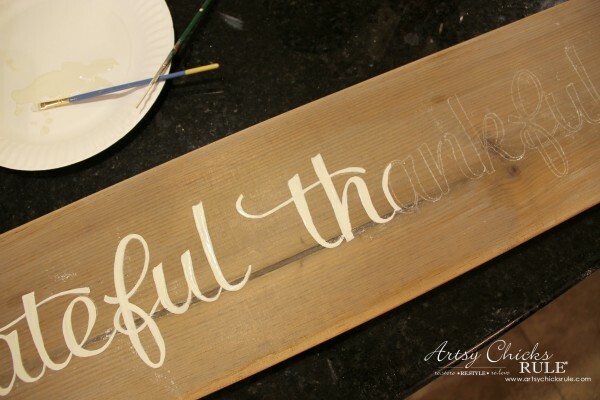 I’m loving this brand new sign I created and am so excited to be a part of a Thanksgiving Home Hop put together by Porch.com today. 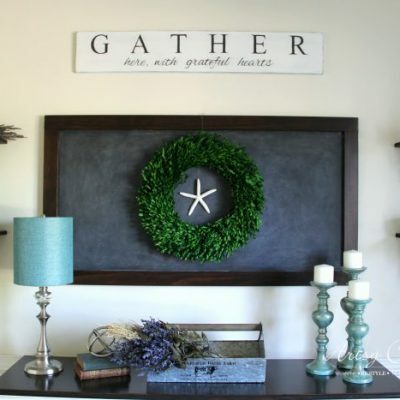 The challenge for this Home Hop was to create a Thanksgiving themed project for under $30. I can’t wait to see what everyone created! Well y’all know that is right up my alley. So much so that I created my project for……$0. Yep. Technically it did cost something but I had everything on hand already. I purchased nothing to make this project and what it would have cost is still well below $30. Because honestly, I couldn’t think of anything better that describes how I feel at Thanksgiving. OR all year long, for that matter. So that is why I am guessing this sweet little sign may stay up permanently. It’s currently in my dining room above my brand new mirror. I’ll be updating you guys with some of the changes in this room soon. I think it looks just perfect there. 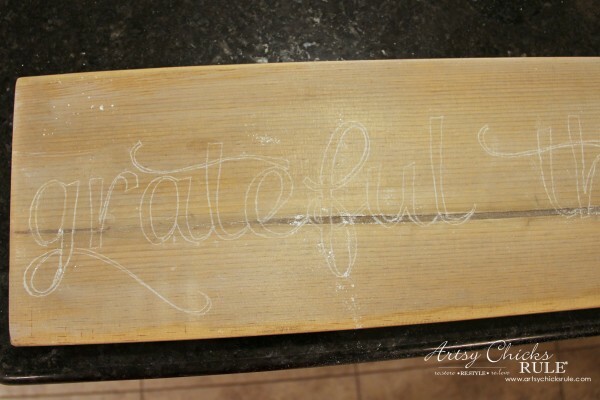 So here’s how I made this sweet Grateful, Thankful, Blessed sign. I went down into the hoarder’s paradise…um, my garage and found this. No really, I LOVE when that happens. I didn’t have to do a thing to this piece of wood. Well, except lightly sand the edges a bit. 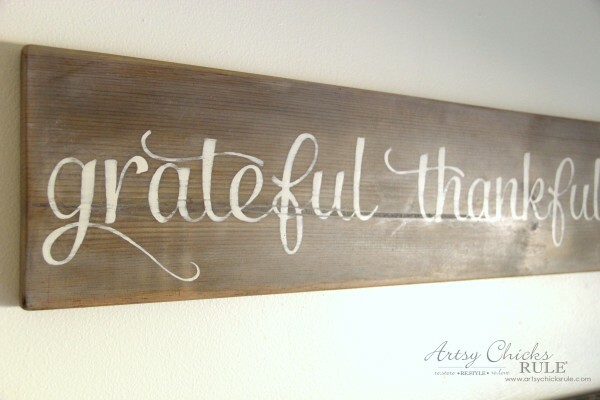 You may remember I used it to make this other –> “Give Thanks” sign recently. I love, love this stuff. I applied several coats, drying a bit in between, to get it a bit darker than what you see here. There really is no special technique to applying this. Just brush it on. Once I had it as dark as I wanted, I did a light wash of white over top. Then I created these graphics….. I printed it out using blockposters . com, shaded the back with chalk and laid it over the board where I wanted it. Then I traced with a pencil. Then I started painting those letters in by hand with a few artist’s brushes like these. I love doing this actually. It’s so peaceful to me. It might look a bit time consuming but it only took about 30 minutes to do. Here it is before I lightly sanded to distress it…and before it got a coat of clear wax to seal it. I added a small hanger on the back (one I had leftover also). You can see the natural wood and where the “Driftwood” ran around to the back. 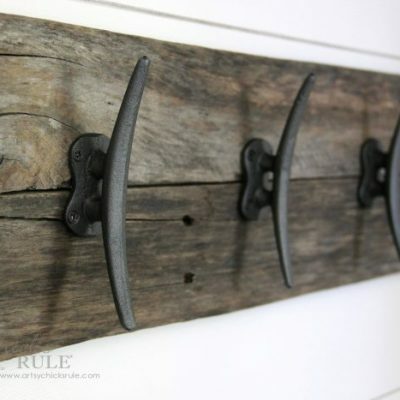 Distressed, waxed and hung on the wall. See the little hint of pale whitewash over the front? 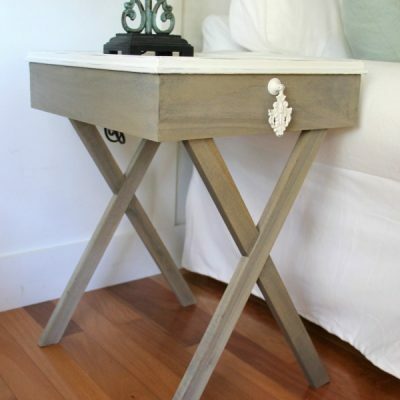 That is what I added with the Chalk Paint earlier. I think it really adds to the weathered look. 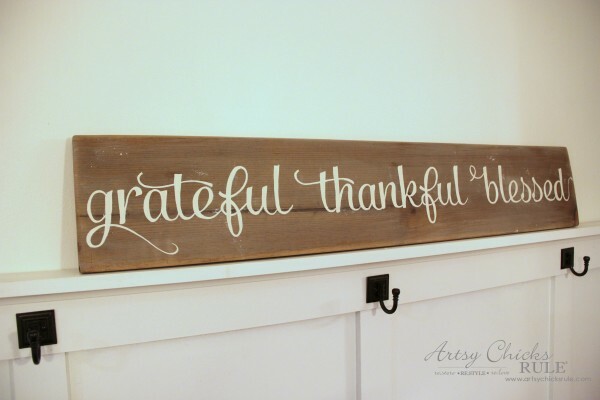 This “grateful, thankful, blessed” sign is one of my very favorite projects. 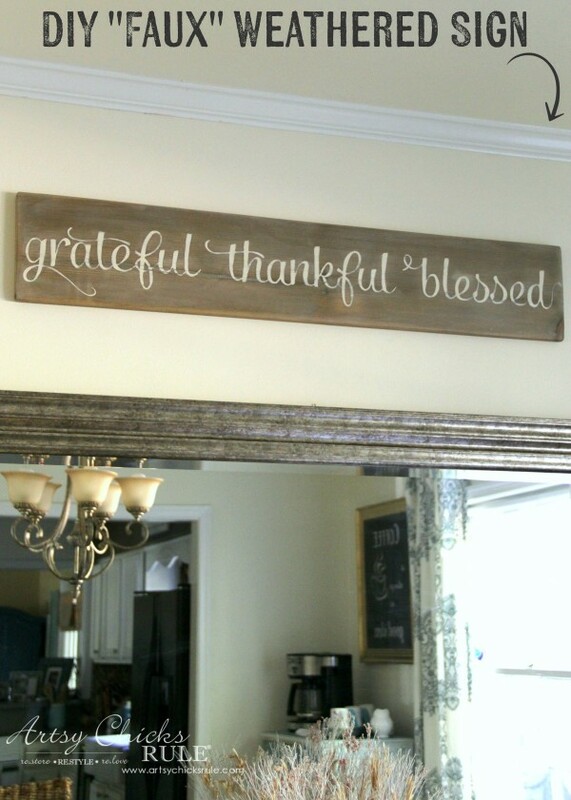 I just love what how it looks and the sweet reminder it provides to all who see it. 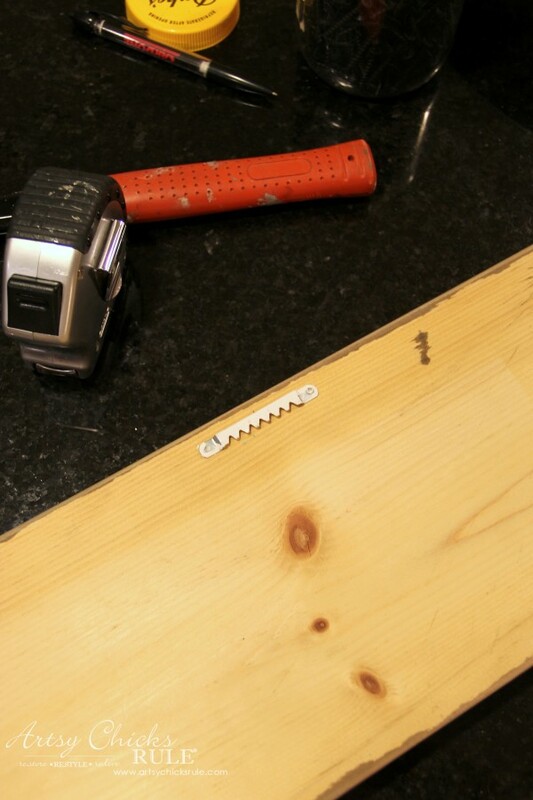 It’s such an easy and very inexpensive project. 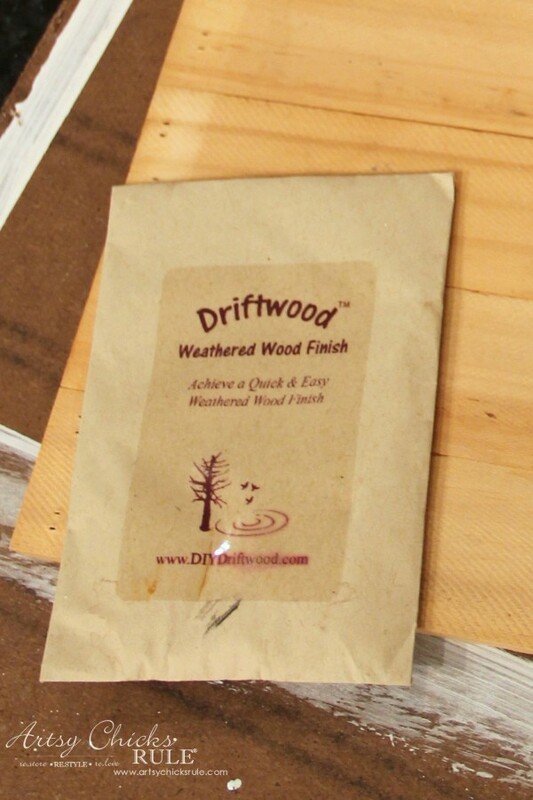 I most recently had it in my kitchen above my sink…..
You don’t have to make it “weathered”. You could paint the board a color (aqua? :) ) and use white letters. 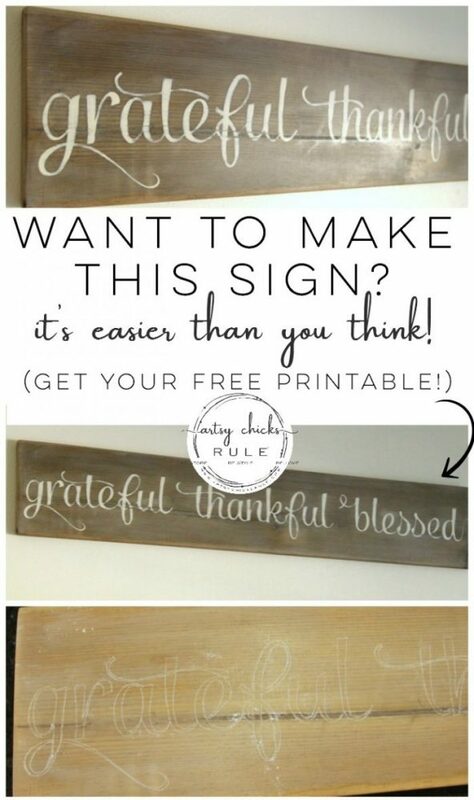 Or paint it white and use black lettering. Lots of options. This is just one way. I’d love to see if you do decide to make one! Now follow along the Thanksgiving Home Hop so you don’t miss any of this Thanksgiving goodness going on today! I’ll see you guys later this week with round 2 of “Holiday Decor Ideas”! This post contains an affiliate link, see full disclosure here. Beautiful Nancy! I have that same stain and haven’t tried it yet – I think I will have to try it now!! Hi Karen!! Thank you! That font is so pretty. :) Yes, anything in aqua is okay by me!! I love it Nancy! You are the master at signs! this is cool! 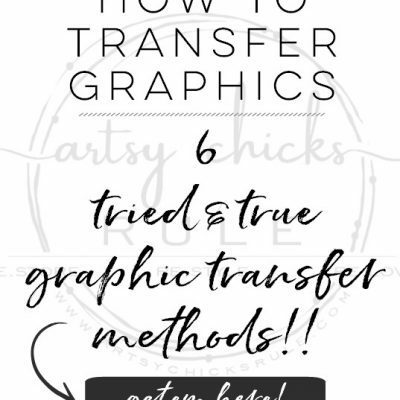 may I suggest using white or black graphite transfer paper? I’ve used it on many yard art pieces (santas, etc). much faster than the chalk, cleaner, and the paper is reusable. craft stores have it, and you can find it on amazon. its a lot like the carbon paper we used to use with type writers lol. That is so funny you mention that just now because I just came across a roll of Saral graphite transfer paper I bought a few years ago on Amazon. It’s been sitting on my crafting shelf untouched!! I’ll let you know how I like it! ;) Posting that project on the 29th of this month. I would love for this to be my first project ever but I have questions, Your words look as if they are printed together. 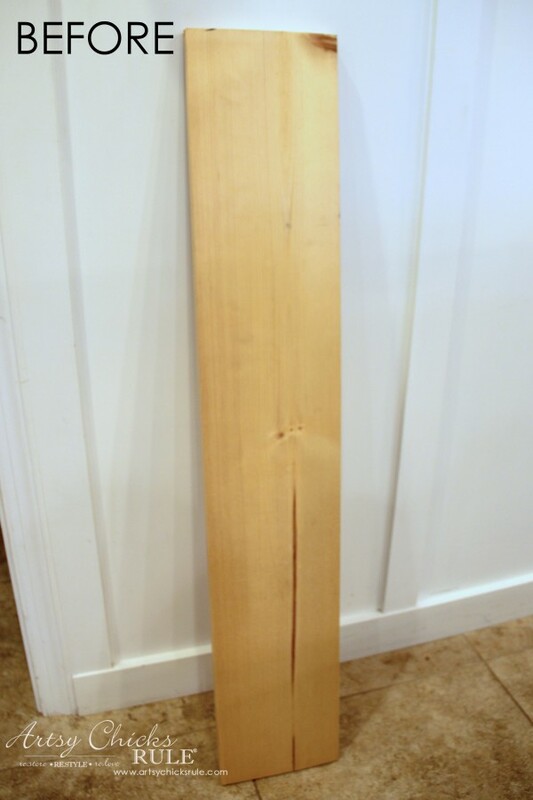 Also, how do you determine the size wood you will use? Much of my time is spent searching Pinterest and saving projects I would love to do in the future. Thanks so much. I can’t wait to try this. 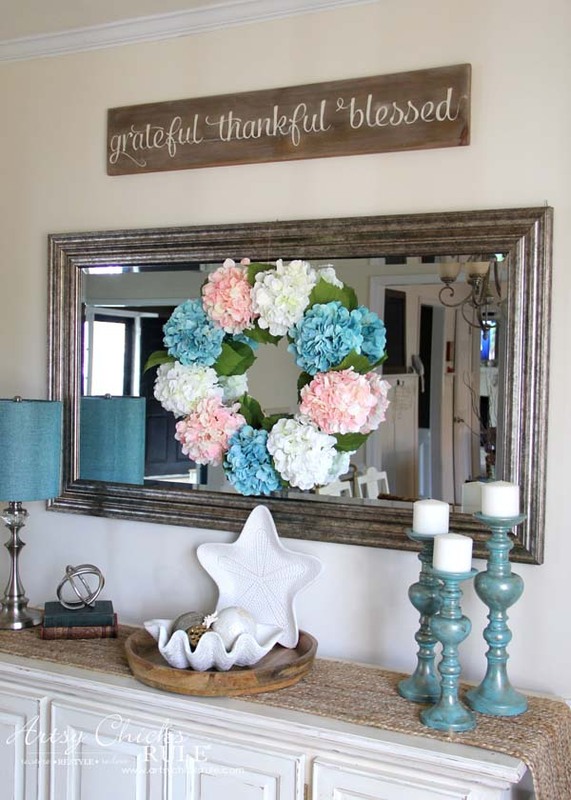 Love it Nancy, it looks so good over your mirror! Hi Nancy, I love your Blessed weathered sign!!! I am going to make one for sure…its looks great…thank you for the inspiration! Will hang it in my kitchen. 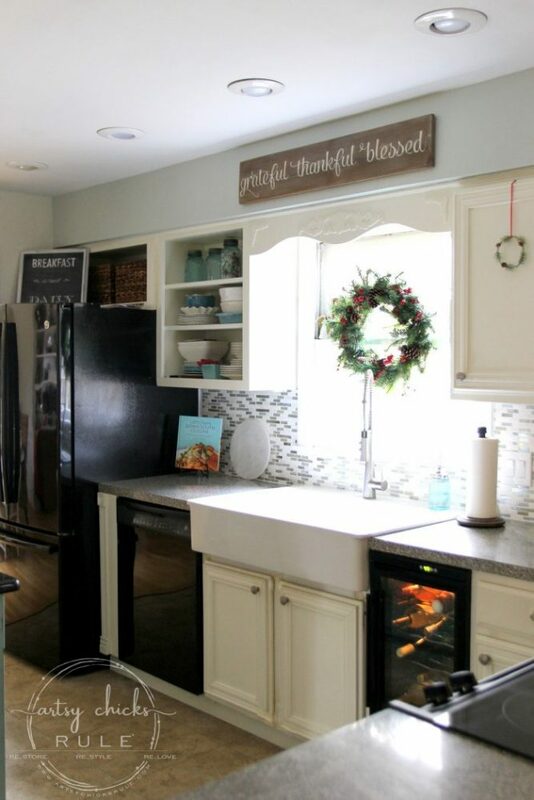 It will look great in your kitchen! 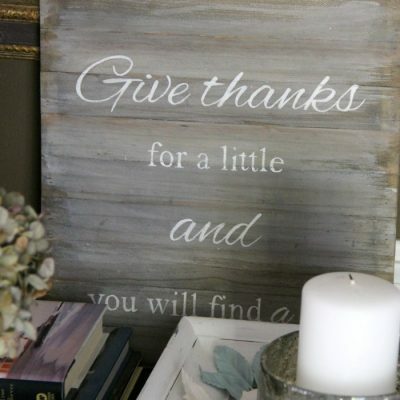 I just picked up all my materials to make the sign, just wondering how and when you added the white chalk paint? Any tips would be appreciated! SO excited to make it, thanks! 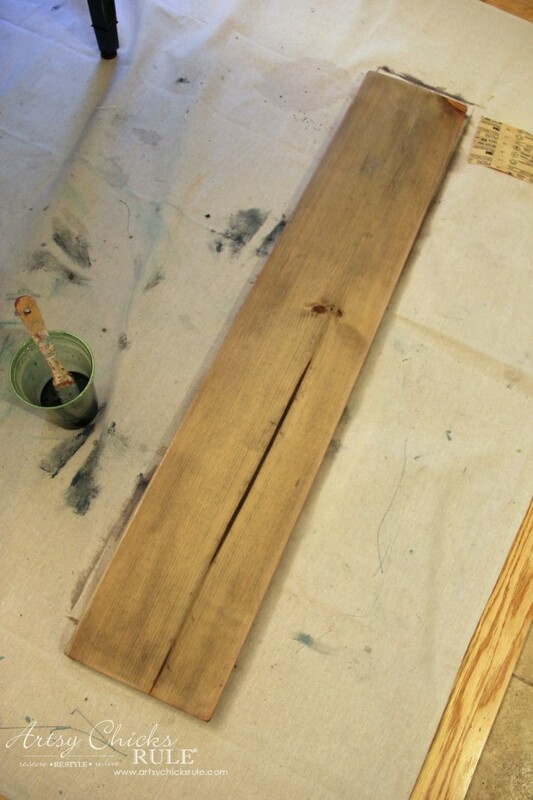 Once the driftwood stain has dried, then add the white Chalk Paint. I mix it very, very thin. Be sure you don’t have too much paint or your board will turn white. 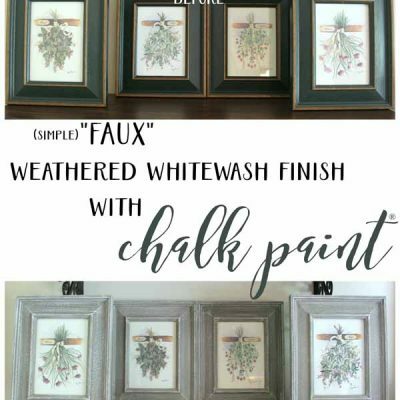 Thank you, so do I mix the chalk paint into the stain mixture? When you say you mix it very thin do you add anything to it? Thanks, I appreciate it! Hi Nancy, please don’t mind the intrusion, as I am most certainly not an artsy chick, but I was trying to get some tips for whitewashing weathered wood on your site when I wound up at this article. I thought it might be of interest to you and your readers to try a DIY weathering mix that can be made for $2 to achieve very similar results. 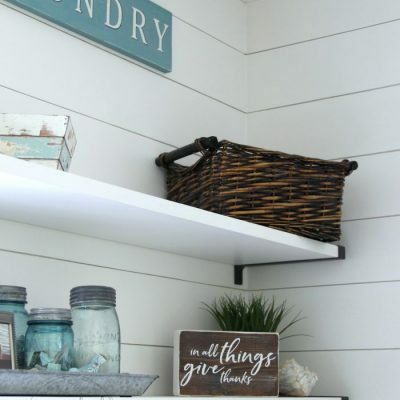 The active ingredient in the weathered wood product appears to be iron acetate, which can be made at home by soaking old nails, steel wool, or anything iron for a few days in some vinegar and straining out the sediment and iron objects once it’s reached the desired strength. I especially like this method because different woods grey faster or slower depending on the amount of tannins in the wood, so you can customize the strength of the mix. If it goes too dark you can dilute with water, or play around with adding vinigar and see what happens. Also, if the wood comes out too “brown” and not grey enough, you can leave your project in the sunlight for a few days and it’ll turn more silvery. I have a mason jar with a thick layer of rusty sediment at the bottom that is just the color I like, and whenever it gets low I just fill it back up with more vinegar and keep using it, it’s my never ending jar of weathering solution. Can you please let me know the size of this sign? Want one similar but want to get an idea of the dimensions. Hi Nancy! Is there anyway you could share this font with me? 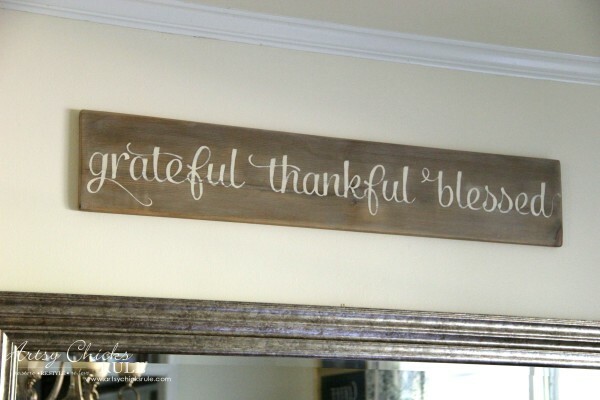 I would like to make this sign using my silhouette cameo! Thanks in advance!! I love love love this. 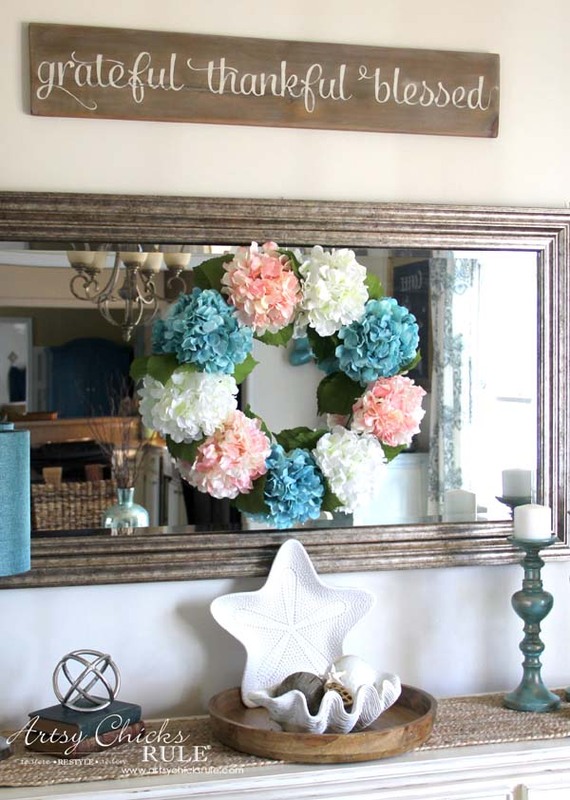 Although I am not craft so I am trying to find one to buy and I love it with the Mirror. Can you tell me the size of the mirror and the size of the sign? 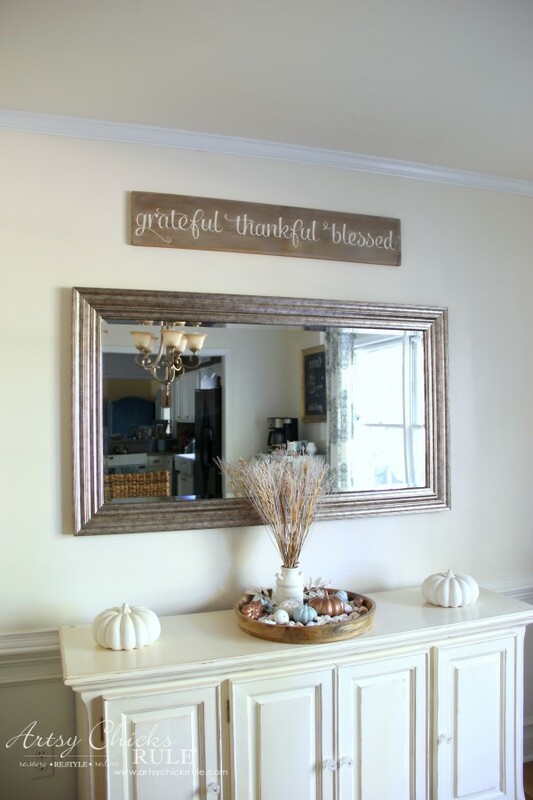 The mirror is 55×31 and the sign is 40×7.5. How exactly did you do the “pale whitewash” over the letters and all without making it too noticeable or over powering the letters and all? I didn’t apply the whitewash over the letters. The whitewash was applied to the wood before I painted on the letters. I lightly sanded the lettering and then applied a coat of clear wax to seal. The whitewash was very thinned down paint so as not to turn the board “white”. You could add the whitewash over the lettering too if you like. It wouldn’t overpower it if it was thinned down enough. I love this!! I’m just curious, where did you get this board or where could I find one similar? Hi Kim and welcome!! :) Thank you so much for the kind words!! You can print large items on blockposters. com That’s what I use for anything bigger than a sheet of paper! My wife and I just redid our kitchen and want to put rustic decor to it. We really like sign you created. Our question is do or will you create these for customers to purchase? I’m pretty handy but too busy to make this, just wondering if you would make one to sell? Maybe someone local to you could make something similar? This sign is exactly what I’m looking for. Does it cost to purchase the lettering on Salamandor script?? Loved your lettering!! You can download the font for free – I just did it! Yay! I use it on Picmonkey but that’s great to know! We just moved into a new home and your sign is perfect! I downloaded it and went to blockposters but they accept .jpg images only not .pdf ? Nancy, I know this is going to make me look really stupid, however, it’s a risk I have to take. I have been a follower for a long time. But, I don’t know the password to get the downloads! I have tried to “rejoin” and it won’t let me. What do I do??????? Linda, you are not stupid! I am having the exact same problem. I can’t find a link on how to do a new password. Can’t remember ever putting in an original one. Can someone enlighten me? You didn’t find a link to create a new password because I created it and it’s the same for everyone…and probably why you don’t remember doing it originally. ;) The password for the downloads is in every single email newsletter I send you. (I send them every week, which is usually Tues and Thurs) Pull up one of the emails from me and scroll all the way to the bottom and you will see it there. (it’s in caps and larger font) I keep it there for my subscribers so they will always have access to it. What is the wax stuff you use? I have never heard of it. What does the container look like? Is it liquid? I use Annie Sloan Clear Wax. It is creamy and comes in a white container with black lettering. 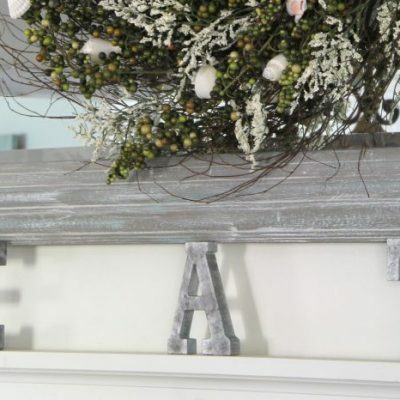 You can only find it at Annie Sloan retailers or online. Search http://www.unfolded.com/ to find one.